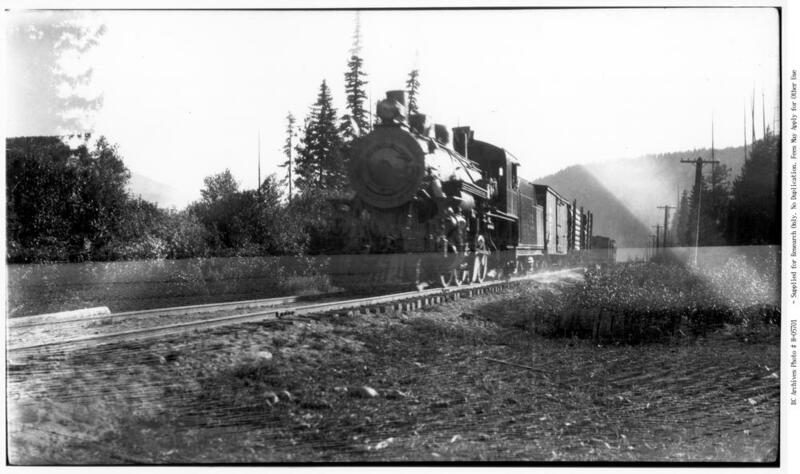 ItemH-05684 - 4-6-0 Esquimalt and Nanaimo [E & N] No. 460, 3/4 left. Mid-distance. On passenger. At Nanaimo station. Good view of train. ItemH-05699 - 2-8-0, Consolidation no. 54, right side, almost broadside, closeup, good detail, part of tender shows, box car partially shows in background, all lettered for P.G.E.